First of all thank you for this copy which I received via Edelweiss. I saw this while I was browsing the website and I think it was a good book. The book itself looks plain simple but the content of it is something more. The book itself has a simple story, high school life who thinks of the future, college, universities and so on. Kara (the main character) thinks she should always be perfect in the eyes of her parents, friends and teachers. To her perfection will do you good but then some thing happened to her during her swimming practice, she's been allergic to pool water ever since that day and she didn't tell it to her friends, aside from that she keeps having panic attacks when she's attempting to take her SATs. To solve that, she became part of the group of teens who do the underground drugs, she never imagined that she'll become a pawn until somebody tried to blackmail her. She and her new friends found a way to solve the mystery and Kara didn't expect the drug dealer is someone close to her. 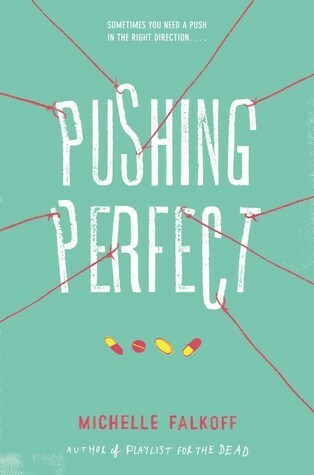 I think the lesson I got from this book is that, don't try to be perfect because nobody is. It was okay to make mistakes and it is better to be yourself for you to gain true friends. It is harder to be with people who only see your outer side not the inner ones so I guess, Kara really made big mistake when she didn't even try to explain her situation to her friends and parents. This book also applies to the society we have nowadays, we don't know who suffers the same thing to Kara but I guess this book will help the readers to be aware of what can happen to a person. Maybe teens nowadays must be more open to their parents because they know what to do, if not a trusted councilor will help.